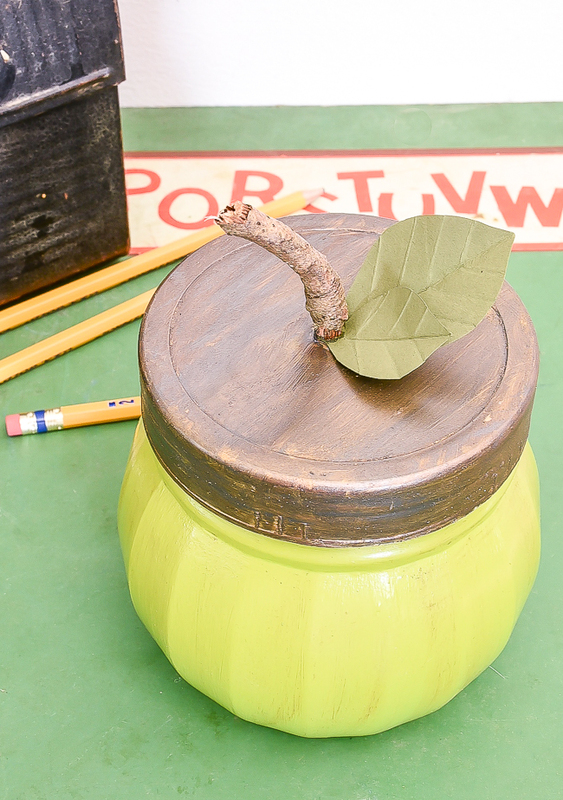 Dollar Tree storage jars get turned into adorable green apples perfect for fall and back to school teacher gifts! 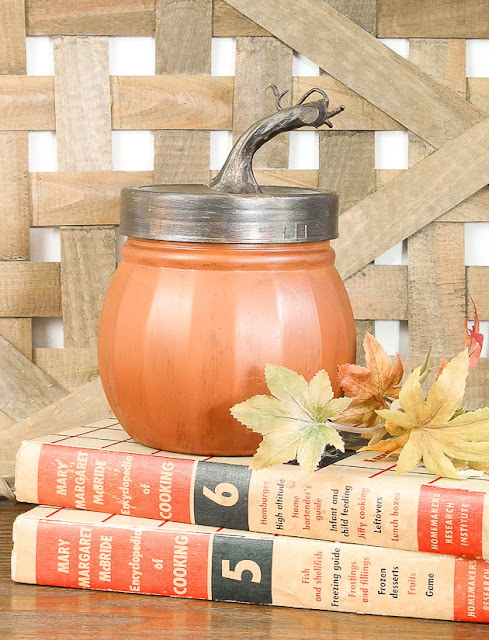 It's August, which means it's practically September and time for back to school and fall decor. 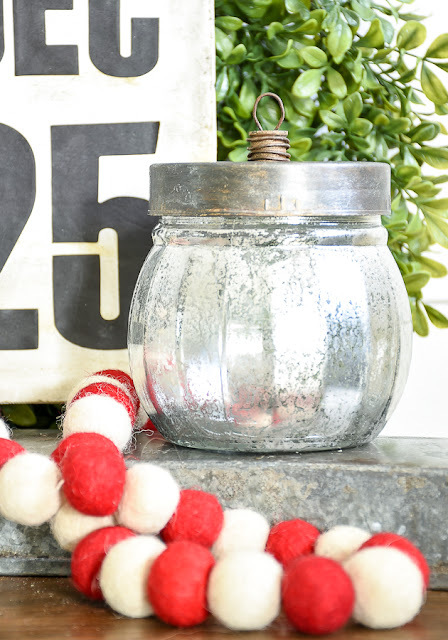 It's also the first Monday of the month, which means it's time for another Dollar Store DIY! 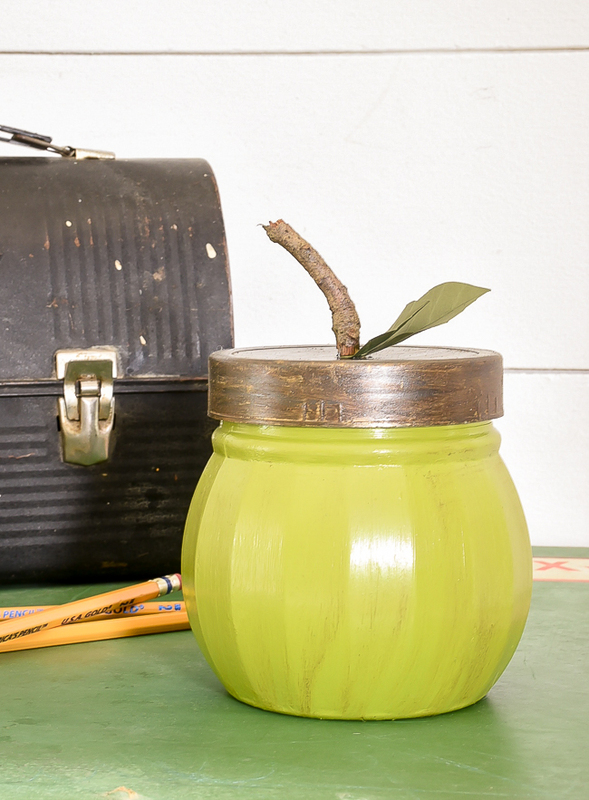 This month, I decided to get a little crafty and make an adorable little green apple jar. I initially planned on making a red apple, but my mom insisted I make the apple green. She said everyone makes red apples, so it needed to be green. I guess mother knows best because when I searched for green apples I could not find a single project. Crazy, right? Considering I'm not a fan of red (except at Christmastime!) I took my mom's advice (ahem, demands) and painted the jar green. I have to say, mom was right. 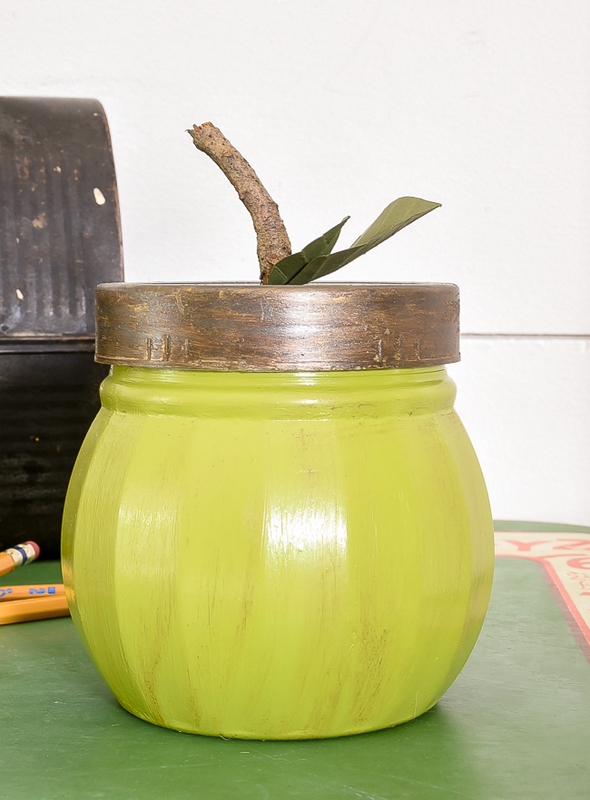 This little Dollar Tree jar sure did turn into the cutest green apple. 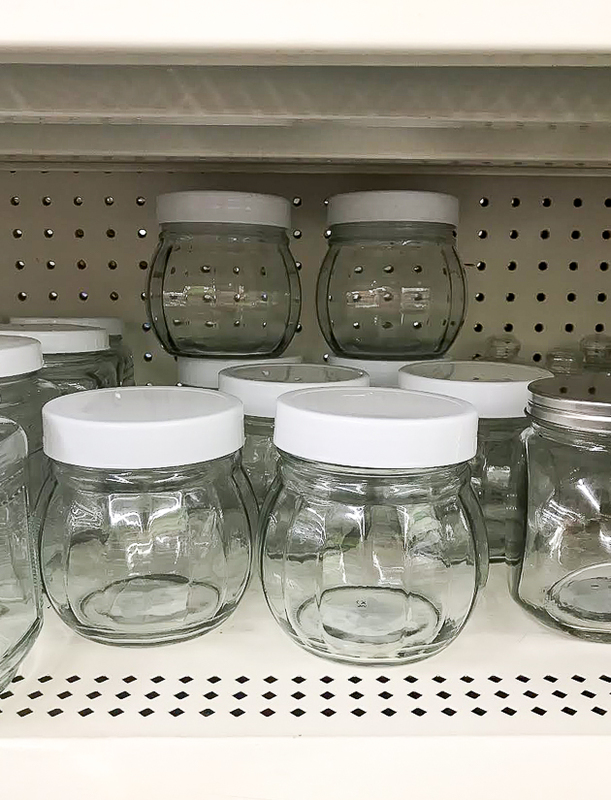 You can fill these adorable little jars with candy for a cute and affordable teacher gift for the first day of school. - Gold Leaf "Rub 'n Buff"
Ideally, you will want to use chalk paint for better adhesion, but since I try to use what I have on hand I used regular acrylic paint. 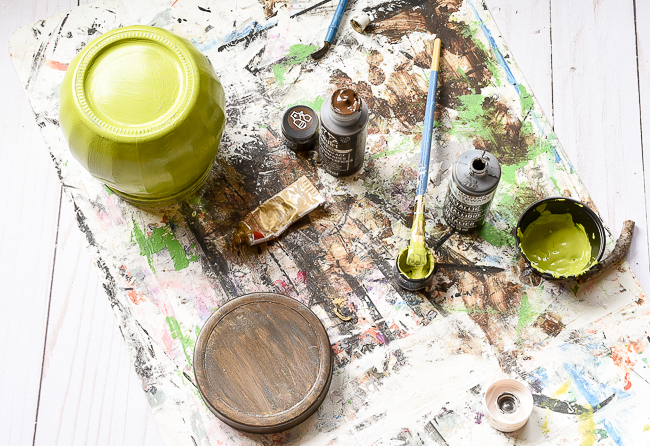 I mixed two colors to get the perfect green apple color then applied three coats to the jar. After the paint was dry, I applied a very light coat of antique wax to give the apple some depth. After all, green apples aren't perfectly green and have spots and imperfections and I tried to mimic that with the wax. I then ran outside and found the perfect curved stick and cut out a couple leaves from green cardstock to finish off the lid. 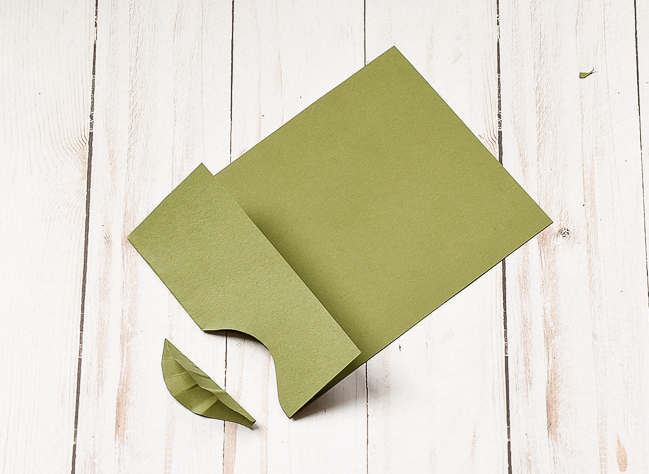 To make the leaves I simply folded a piece of paper, cut out a leaf shape then while keeping the leaf folded I made three more folds to give the leaf texture. 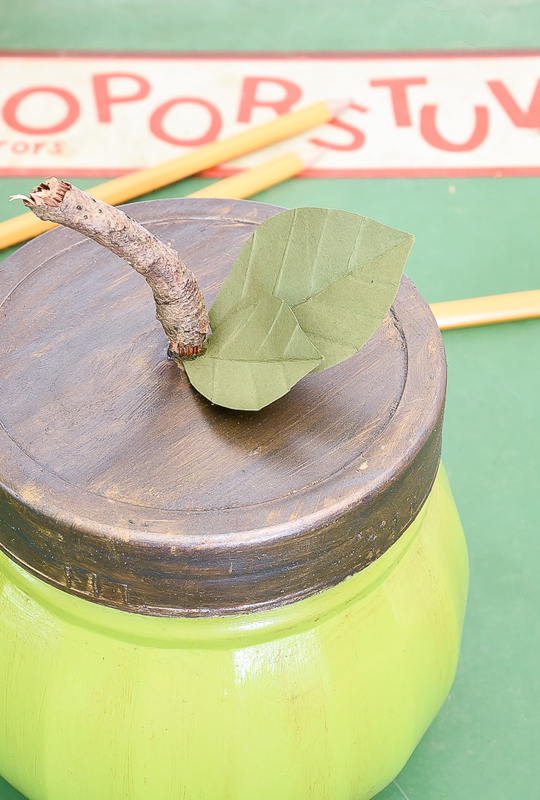 I glued the leaves on first then added the stick and my green apple jar was complete! What do you think? Would you have painted yours red or green? No matter what color you decide, these inexpensive Dollar Tree jars sure do make adorable apples! Super cute!! I love your creativity with such a simple item. All the ideas, from the apple, pumpkin and mercury glass look! !